We're back! Whether you're dry January-ing or chugging along as usual and looking for some nice fun and pints, why not come along to the second ever Angel Delights! 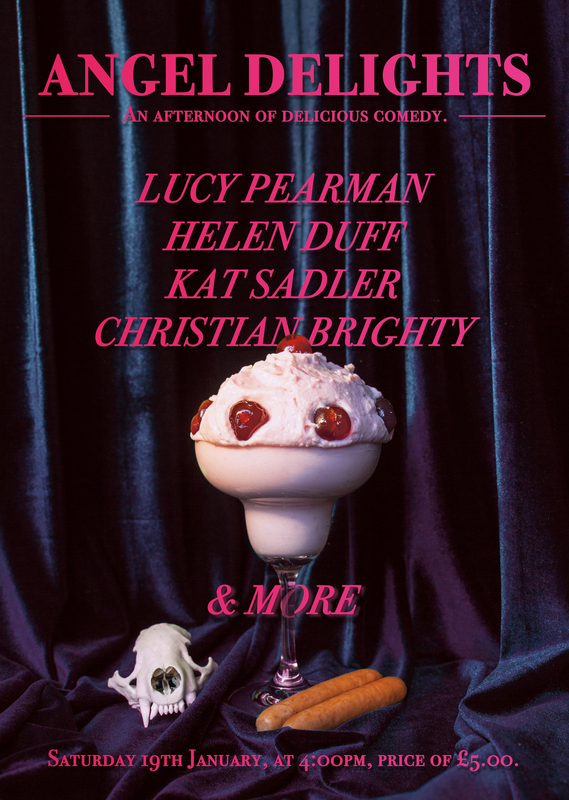 Featuring Lucy Pearman, Helen Duff, Zach Zucker, Kat Sadler, Christian Brighty & your MC Ben Target! Kat Sadler is a comedian, writer and actor, as heard on BBC Radio 4 extra. She is the editor and creative director of Succubus, a satirical women’s magazine. She also writes for The Daily Mash. Nominated for the BBC New Comedy Award 2018.